Darren Young and CM Punk (with Serena and Luke Gallows) defeated Justin Gabriel and Matt Hardy. The Straight Edge Society attacked Young after the match. The Great Khali defeated Daniel Bryan by special arrangement of The Miz. The Big Show then chokeslammed Bryan post-match. The Miz sure holds a lot of sway with the giants on the roster. Heath Slater defeated Michael Tarver. Tarver attacked Slater after the match. Wade Barrett (with Chris Jericho) defeated Skip Sheffield (with William Regal). What?! No post-match attack? May I suggest new lyrics to the NXT theme song? 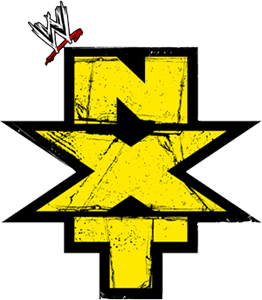 Big news: Matt Striker announced that in two weeks, episode 6, the NXT after WrestleMania, the Pros will vote and one of the NXT Rookies will be eliminated. There are eliminations now all of a sudden! What will they think of next? Also, suddenly the Rookies wins and losses are being recorded on the chyron. I thought I was the only one keeping tabs on that. What's next? NXT Rankings? I smell an angle where Miz will use his 0-4 record to get rid of Daniel Bryan, who'll then wrestle the Miz for his right to exist in NXT. Maybe it's just me but Matt Hardy is like a fat, greasy vampire. He's the only Pro who strikes me as sucking on the vitality and youth of his Rookie to help revive sagging interest in his career. I'd love an angle where Khali takes Hardy to task for devoting too much time to Gabriel and not enough to their New Oddities. After the post victory attack on Young by the Straight Edge Society, I wonder if NXT will suddenly allow Pro-switching next? Michael Cole only turns on his obnoxious heel voice when he craps all over Bryan. Cole sure hates the Daniel Bryan Manliness Meter on Twitter. Cole on David Otunga: "I like this kid!" Of course he does. Cole (i.e. Vince McMahon) likes the big muscle guy who can't work and is married to Jennifer Hudson. And when Jennifer Hudson doesn't appear on WWE TV, Vince will wish him well on his future endeavors. I liked when Jericho broke character and laughed at his own yelling at Cole and Mathews. The crowd only seem to react to Gabriel and Bryan. Maybe NXT should add another innovation and let the Rookies talk more.